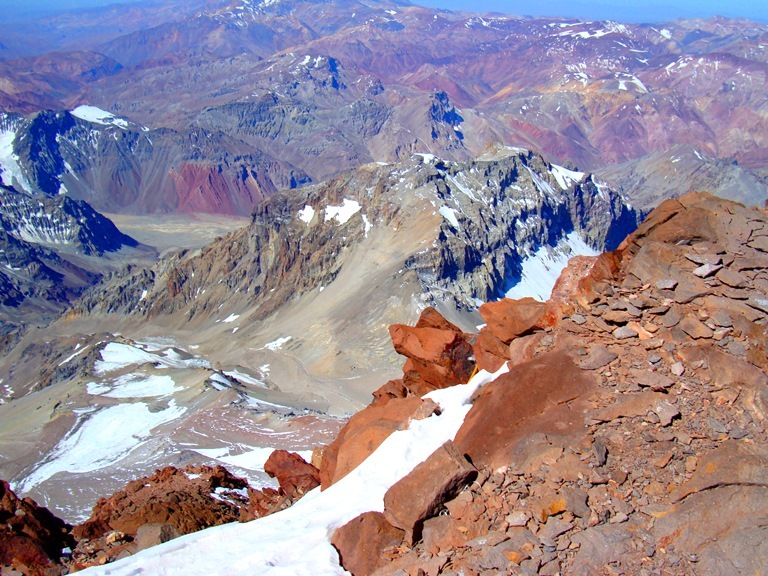 Aconcagua The Vacos Valley Route is the only way to climb this stone sentinel. I have climbed Aconcagua 5 times and a big fan of this route up the mountain. 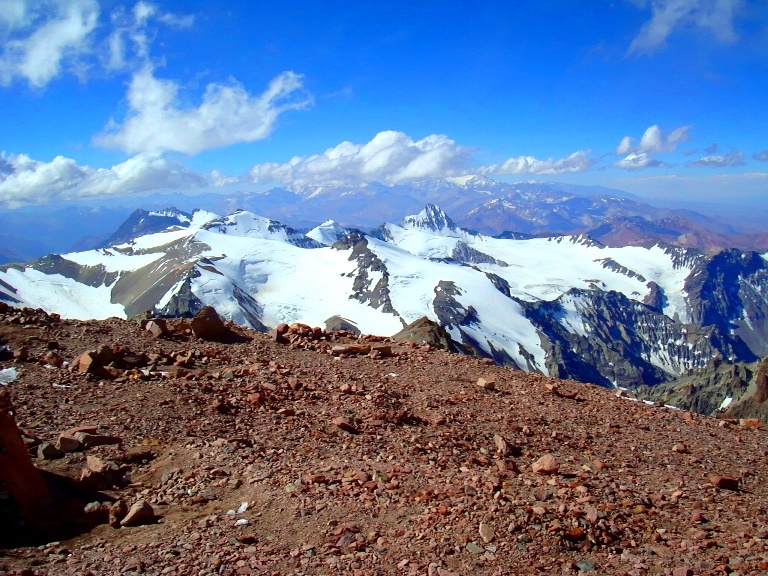 Aconcagua is the highest mountain in the western hemisphere and presents many challenges. The 3 biggest are extreme altitude above 5,500m/ 18,000 feet. High winds and bad weather and the physical challenge of lugging all your gear up and down the mountain. 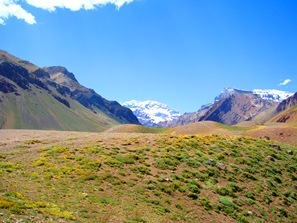 This alternative traverse route up Aconcagua is visually more stunning and a beautiful path up to Aconcagua base camp. 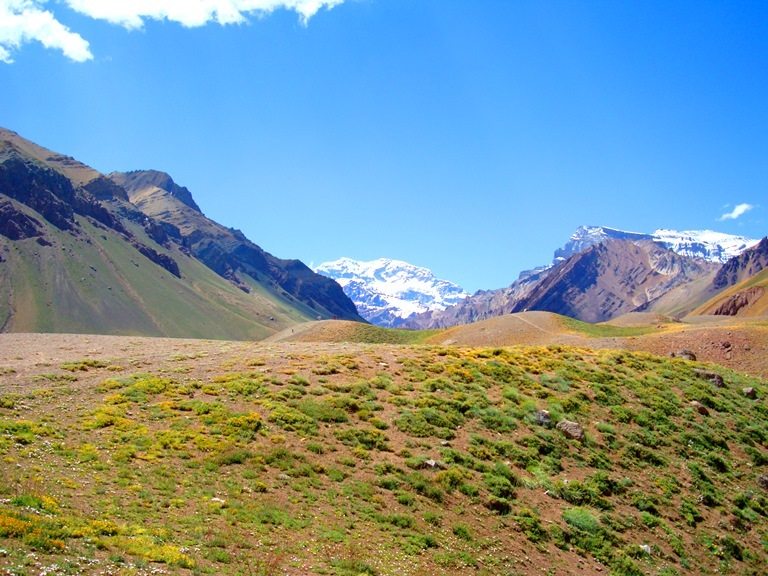 On route up Aconcagua you will experience two different valleys of this Las Heras Region, mixing up the scenery on this challenging and demanding trip. You will not be disappointed with beautiful views, less people and the challenge of a lifetime. Check out our upcoming trips. 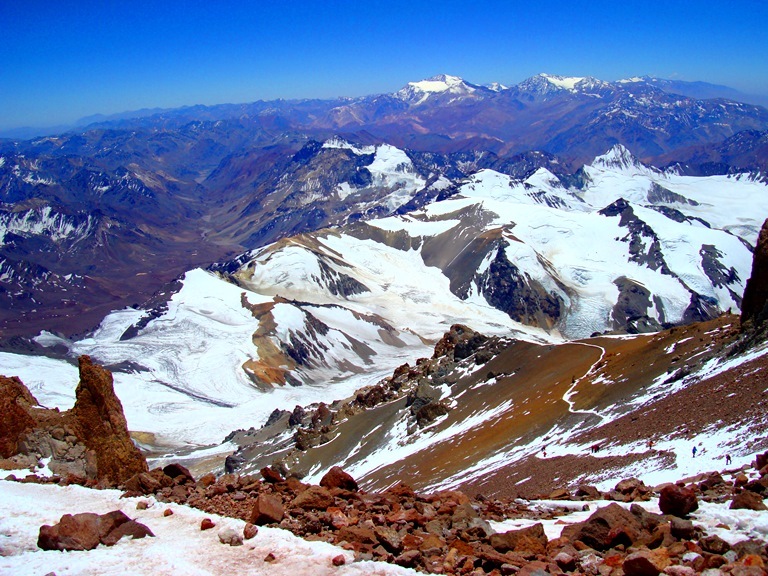 Climbing Aconcagua is a real challenge and needs careful consideration. The Vacas valley and Polish Glacier traverse route is a more interesting, beautiful and fascinating valley and route up Aconcagua. We follow this stunning valley and river, deep into the Andes before getting a great view of this giant mountain. This route is for the person with an adventurous spirit and will give you the experience of being on an expedition style ascent. After the acclimatization is over, we will cross under the Polish Glacier, and move around the mountain to the Berlin hut for a night before we attempt the last stretch to the summit before coming back down the traditional route. Once back in Base camp we will Trek the final leg to the road head in one day. We offer this trip to private groups and individuals in the months of January and February on an annual basis. 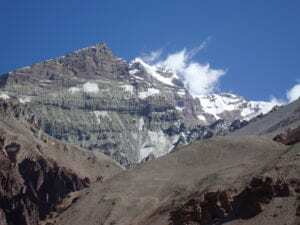 We have found that people who have 6,000m/19,685ft experience along with endurance trekking and hiking over a number of years are more likely to succeed on this mountain. It is a very strenuous trek which requires intensive preparation. Read some reviews. We offer a quality acclimatization program to aid you in your summit success. 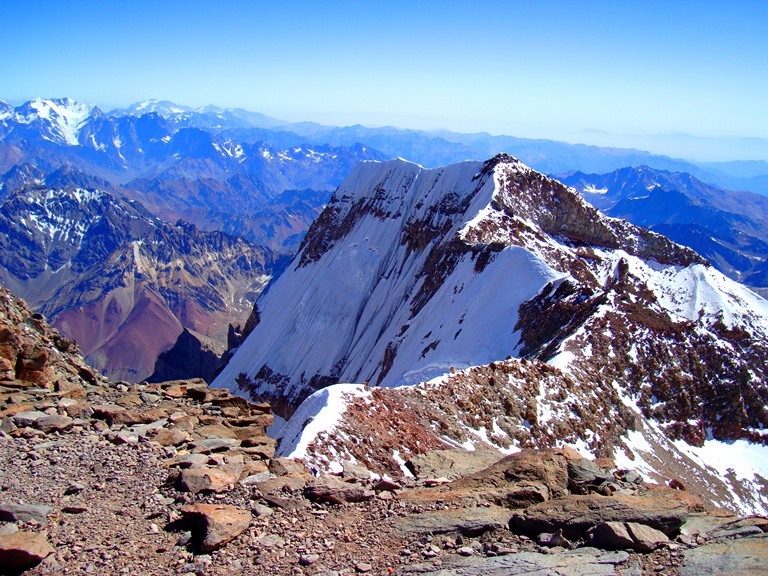 Aconcagua is a great way to test yourself in the mountains and can be a great stepping stone to 8,000m/ 26,247ft. peaks in the Himalayas. We are available to help you come fully prepared and we want to see you have the safest and best experience possible on one of the 7 summits. The price start from $4,900. Today we will go to Puente Del Inca at 2,725m (8,940ft), but before heading to Puente del Inca, the whole group will apply for the climbing permit with the guides’ assistance. You will have lunch and spend the night in Puente del Inca hostel. In the afternoon, the mules are loaded and prepared for the following day. 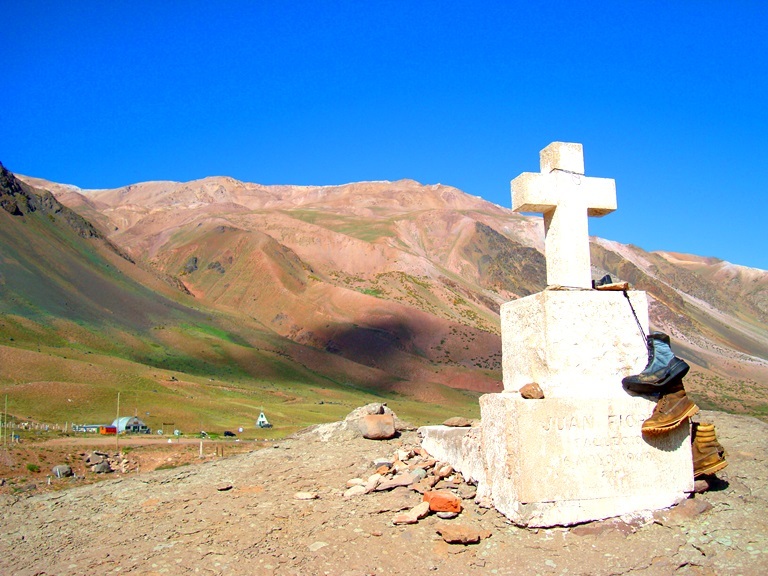 Head to Pampa De Lenas at 3,000m (9,843ft). The group will be taken to the entrance of the Park in a private van where permits will be presented and you will start with the trek to the Pampa De Lenas Camp. The equipment will be carried by mules. At arrival, you will set up your tent with your partner and will be able to rest. 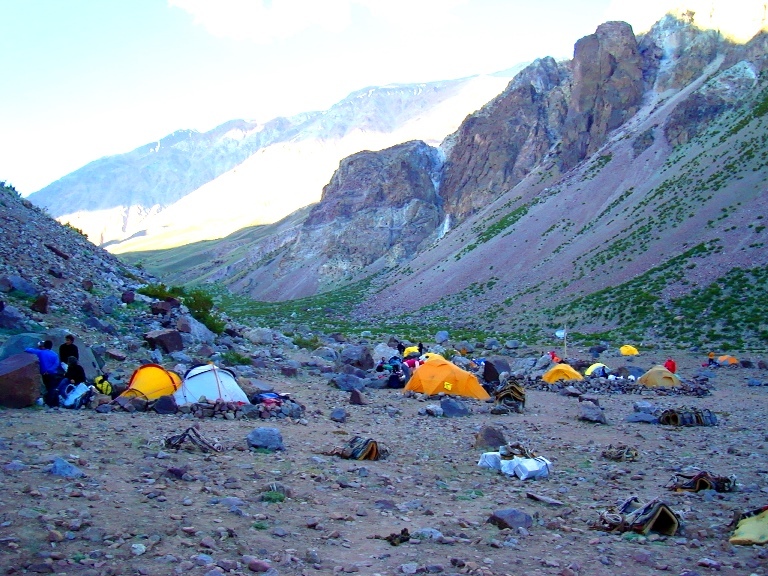 After breakfast and pitching the tents, you will walk to Casa de Piedra at 3,600m (11,811ft). This trek lasts 6 hours. Like in the previous day, the tents will be set up and you will be able to rest waiting for dinner to be ready. 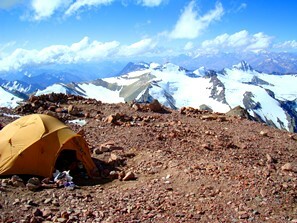 Today we will trek to the Plaza Argentina Base Camp at 4,000m (13,123ft) which takes approximately 6 hours. This will be our Base Camp on the mountain and we will try and make this camp as comfortable as possible for your stay. Today is a rest day in the Plaza Argentina Base Camp. You will be able to rest during the whole day or just go sightseeing around the area, and contemplate the beauty of the mountain. 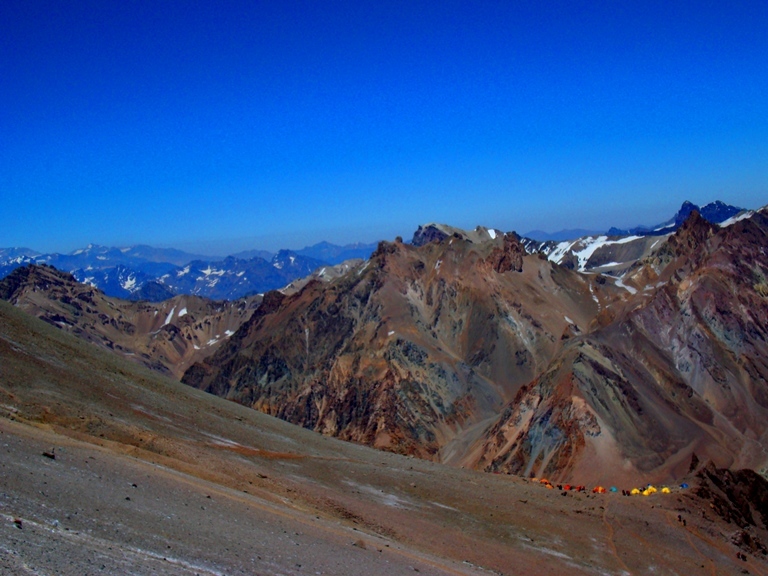 Today, you will take part of the altitude equipment to Camp 1 at 4,950m (16,240ft) where you will enjoy your packed-lunch and then return to Plaza Argentina. This walk will greatly benefit you during the acclimatization process as well as help bring equipment needed higher up the mountain. Each member of the group will carry ““without exception- a food load and fuel for the expedition that will be between 7 kg/15 lb as the minimum and 10 kg/22 lbs as the maximum. Resting and acclimatization day in Plaza Argentina. On this day, you will make sure that your equipment is ready that and you will rest so as to be strong enough for the next days that demand more effort. After approximately a 4 – hour trek, you will arrive back in Camp 1. On the way, the group will have lunch and once you arrive, you will set up the tents with the guides’ help. You will start to feel the altitude effects on your body. 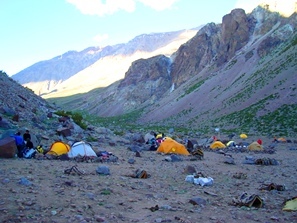 Today, the group will climb up to the Upper Guanacos Camp 2 at 5,500m (18,045ft). The tents will be pitched, and the team will be able to rest and recover for the following day. Rest day in Camp 2 to recover your strength for the remainder of the trip. Today we will head to Camp 3 at 6,000m (19,685ft). Everybody will get up very early in the morning, have breakfast, and start ascending towards the Normal Route. Here, Camp 3 will be installed, strategically located for its altitude and protected from strong winds. The guide will check each member of the group and will give the last advices. Besides, he plans the final strategy. Climb from Camp 3 to the summit of Aconcagua at 6,962m (22,841ft) and return to Camp 3. This is an extremely difficult, rewarding and all around great day! The group will get up very early in the morning, have breakfast and start climbing. You will get to the summit, where you will live an unforgettable experience, and return to the Berlin Camp. 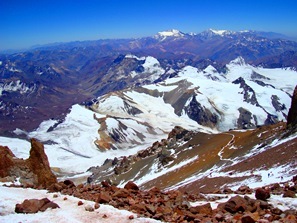 You will sleep that night with the satisfaction of having reached your goal of reaching South America’s highest point. Today you will descend back to the Plaza de Mulas Base Camp after a long trek. The group will have the day free to share those emotions experienced throughout the expedition. During this day you will only carry your personal equipment, because our porters will be in charge of carrying all the ordinary equipment including the garbage up to Plaza de Mulas. Descent to Puente del Inca and complete our last trek during the expedition. Your belongings will be carried by mules so you will only take a light bag pack with a jacket and your packed lunch. Transfer to Mendoza City. Lodge in the hotel. Today we will arrive back in Mendoza for breakfast and this will end our service. Extra day for contingencies that may prevent the normal development of the program. 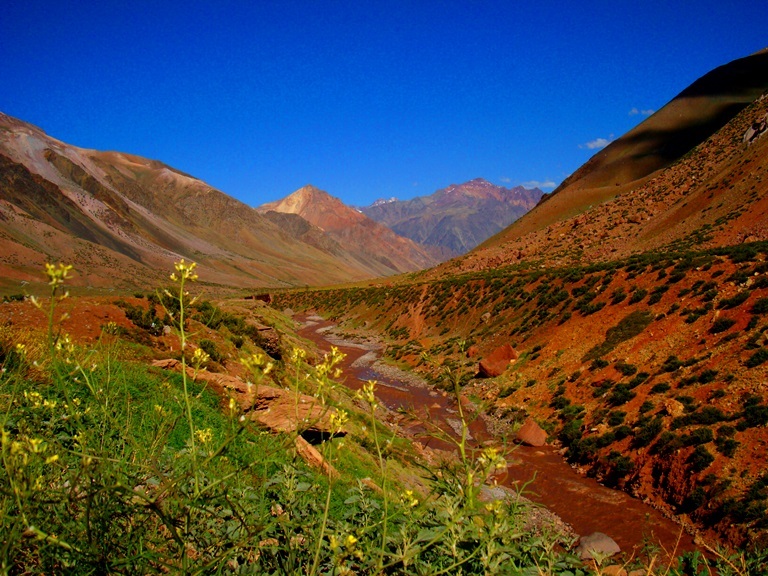 Does this information about climbing Aconcagua The Vacas Valley route excite you? Take the next step towards achieving your goals in the mountains? If so, get in touch today. We pride ourselves on making sure that our clients have every opportunity to succeed on the mountains, including professional training advice, gear lists and video links on how to pack your bag, and much more. We are always available to answer any questions you may have by email, phone or skype, so contact us today!